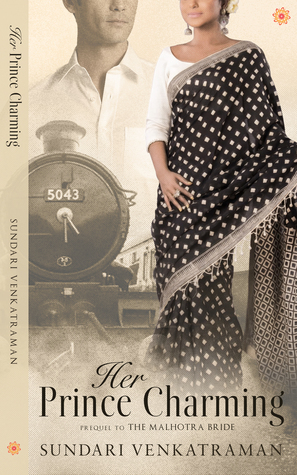 Yet again Sundari Venkatraman has surprised me with the simplicity in her story. Tanuja can be anyone amongst us. Leading an obscure life, dominated by her stepmom and stepsisters. Yet she is a princess for she falls in love. The story of Cinderella retold again and again - yet every time you hear it, that small girl inside you feels happy. Someone found their happy ending, what's not there to like.? The story has moments where I had a lump in my throat. That good ole feeling of blessing the couple to find their destination. I like the way Ms. Venkatraman makes us have that aha moment through her characters. After reading her series, you feel they have become a part of your life and even though you already know about the happy ending, the path taken by them is the one you yearn to know. Another book by Ms. Venkatraman which will become by to go read whenever I feel the need to know that innocence still exists in the world. Sign into Goodreads to see if any of your friends have read Her Prince Charming.